1. Do You Handle Content Creation? High-quality, well-written and factual content is crucial to the reputation of your brand and to your search ranking. Be sure to determine who will handle content creation. If the company will handle content creation, ask for a sample to make sure that the quality of their work is up to par. You would never think of hiring a contractor to remodel your home simply because they say they know what they are doing. Approach hiring SEO specialists in the same manner and ask for at least three references. This will give you the opportunity to ask former clients about the kind of work that they have done in the past, and determine what kind of results they’ve experienced. 3. Which Methods Do You Use? There are two specific types of SEO: black hat and white hat. Black hat techniques like keyword stuffing, creating doorway pages, or including invisible text are frowned upon in the search marketing community. Additionally, search engine algorithms have grown wise to these schemes and can penalize your site if they are detected. To ensure that the company is using white hat, or legitimate, practices ask about the methods they use. 4. Do You Work With Any of Our Competitors? A search marketing company that has experience in your industry is a major perk, but if they are working with a direct competitor this may present a problem. They may be a long-standing client or have a larger contract than you will, which may mean your competitor’s SEO is prioritized over yours. 5. What Type of SEO Services Do You Provide? Some companies will implement only basic strategies, while others are well-equipped to handle more in-depth aspects. To describe their services, search marketing companies typically use terms like technical, on-page or off-page. 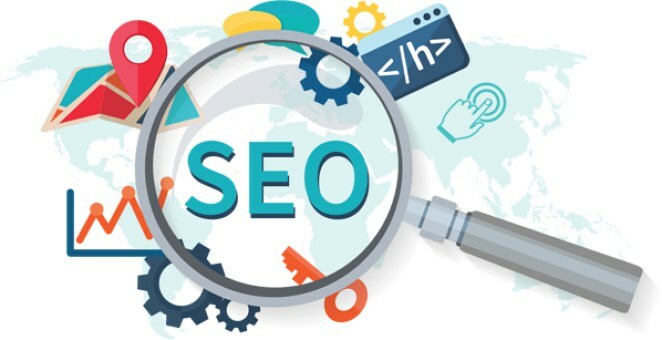 Those that specialize in technical SEO will focus on search engine spiders, indexing your site, or performing an audit to detect any technical issues that may hurt your SERP ranking. On-page specialists will primarily hone in on your website’s content and relevant keywords while off-page experts will be more concerned with inbound links from other websites to yours. By asking these simple questions, you will have better insight into the company’s practices and typical results to ensure the success of your website’s search engine ranking. Want to manage your SEO marketing efforts in one place? Sign up for a Mintent account. It’s free, and easy to get started!